For many decades, the academic field of Thai studies has served as a platform offering many forms of challenging, conceptual, and critical knowledge to scholars working in different academic disciplines, yet who share the same interest in unveiling the complexity of Thai society. The field has allowed many scholars whose works are related to Thai society to engage in debate, to learn and exchange from one another, and, on many occasions, to produce ground-breaking conceptual and theoretical understandings about Thailand. Moreover, the intellectual output produced through this kind of cross-disciplinary engagement often benefits the production of new knowledge in disciplinary-based studies. As Thailand changes, Thai studies also strives and takes on new angles, subjects, and intellectual paradigms that are crucial to the development of the country. The 12th International Conference on Thai Studies in 2014 was held at The University of Sydney under the theme “Thailand in the World.” The 2014 conference marked the situation of Thailand in globalized economic and cultural transactions, called for a paradigm change in Thai studies that needs re-envisioning from the perspective of global connections, and advanced the quest for new conceptual insights into the relationships between Thailand and the world. Thailand no longer exists as a self-contained and autonomous social and cultural entity, especially so from the economic and technological development perspectives. Many new ideas and inventions emerging within Thai society in fact derive from complex interactions, negotiations, and integrations among various ethnic, social, and cultural beliefs and practices. The increasing liberalization of the economy of Southeast Asian nations also has the potential to drive Thailand to the crossroads of social, economic, and cultural transformation in the near future. As the world spins faster, this complex formation of the knowledge of “Thailand” will only keep changing. The development of Thailand in connection with the Southeast Asian region and the world has continued not without conflicts and conundrums. Many forms of transformation that take place in the different geo-cultural spaces popularly thought of as “Thai” involve agents, organizations, and forms of power that, in fact, originally belong to various indigenous ethnic, cultural, or national groups, or even to the “global communities.” The Thai-self has been founded upon and thrived on the forces and dynamics within these various complex dimensions of connectivity. Most essentially, this complex “connected Thailand” posits critical questions to the traditional paradigmatic thinking about Thai society, particularly thinking that frames Thailand as a separate entity, unnecessary to require intellectual engagement with the rest of the world. The 13th International Conference on Thai Studies aims to resolve this conflict between the hegemonic view of self-contained Thailand and global socio-cultural transactions by first, reviewing and evaluating the existing landscape of knowledge in Thai studies. This stage will provide an opportunity for participants to take a step back to reconsider the problems of development of the field of Thai Studies. Second, the conference will encourage participants to explore the unprecedented dimension of the intellectual inquiry of Thai studies, especially the connectivity, and conflicts and conundrums within that connection, between Thai society, the Southeast Asian region, and the world. Through these two processes, we hope the conference becomes a space where new forms of critical knowledge on Thailand emerge. Not only the theme of the conference—representing the attempt to connect the field of Thai studies with the world—but also the urge within the field is to connect and support contributions by the “new generation” of scholars working on Thailand: “new” of age, approach, culture or nationality. In the past decade, the expansion of research programs in higher education focusing on Asian and Southeast Asian studies has produced many talented academics in many various disciplines from around the world. Coming from different geo-political and cultural backgrounds, these scholars have helped transform Thai studies into an increasingly interdisciplinary field of inquiry. 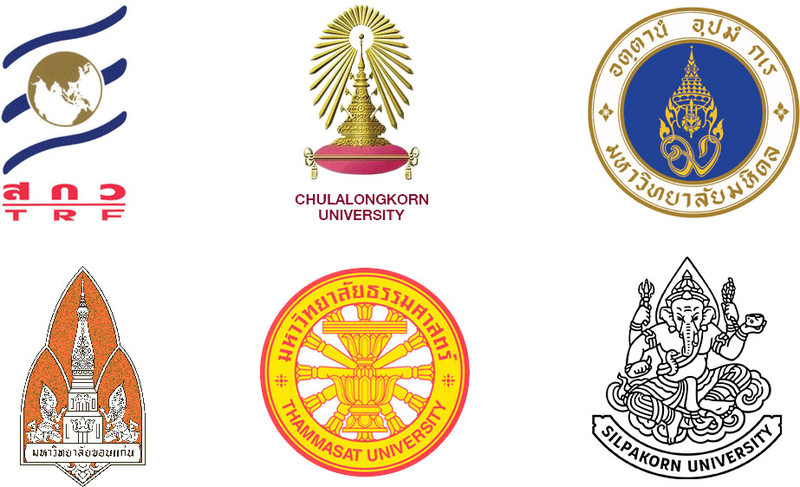 Within Thailand, more postgraduates programs have emerged nationwide, also producing a new generation of local-origin but internationally-minded scholars. Many of the works of these talented new local and international scholars have great potential in contributing to new and exciting forms of knowledge on Thai society in a global context. The 13th International Conference on Thai Studies recognizes and values this potential and aims to use the conference as a platform for these scholars to voice their new ideas and to (re)connect them with the already established scholars of Thai studies, and vice versa. Despite these suggested themes, the conference is by no means disregarding other issues related to socio-cultural or technological connectivity between Thailand and the region/world as unimportant. Participants can submit panels and papers with titles that may not exactly match these suggested themes, yet represent current or critical issues which Thailand, in connection with the region and world, is undergoing. The format of the conference will include 1) plenary sessions by keynote speakers who are leading scholars in Thai studies; 2) parallel sessions consisting of panels and groups of individual papers on various topics relating to Thailand; and 3) roundtable discussion sessions. We open for two types of submission; 1) individual abstracts and 2) panel proposals. The submission of individual abstract and panel proposal can be made online on the conference website. Individual abstracts should not exceed 250 words. Deadline for individual abstract submission is 30st November 2016 and panel proposals is 31st August 2016. Notification of acceptance of proposals will be made by 31st January 2017. Registration for participation will begin on 1st October 2016. Please refer to the conference website for registration and other information about the conference (i.e. fees and travel guide). All papers presented will be included in the E-proceedings and will be available on the conference website. A selected number of papers will be chosen for publication in international-level academic journals which are in partnership with the conference.